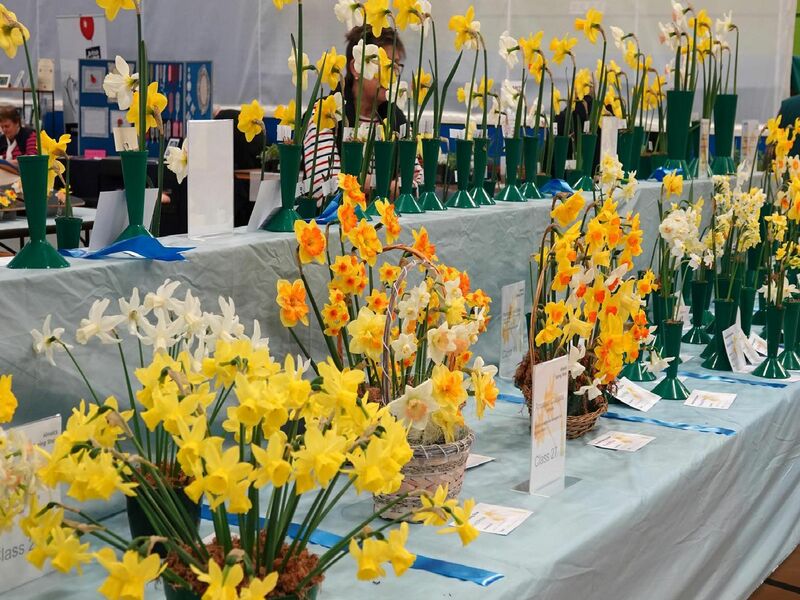 The 13th Spring Show filled the main hall at Willowburn Sports Centre delighted the organisers as well as the guest of honour, Sir John Hall. Margaret Smith was thrilled that her bowl of species tulips was a winner. Just a little! Sir John Hall has a sample of plum brandy made by Joan Moses.